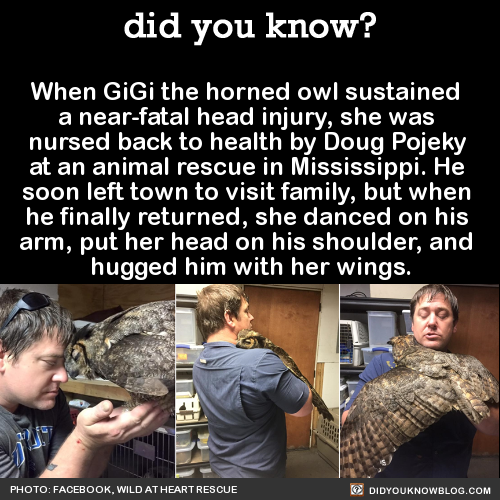 When GiGi the horned owl sustained a near-fatal head injury, she was nursed back to health by Doug Pojeky at an animal rescue in Mississippi. 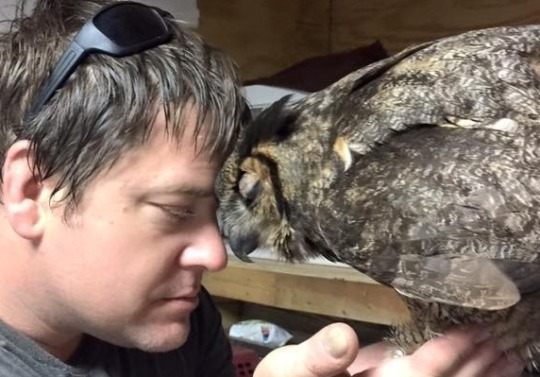 When Doug was growing up, a great horned owl used to perch on the top of his family barn. His father saw the owl often, but he and the rest of his family rarely did. 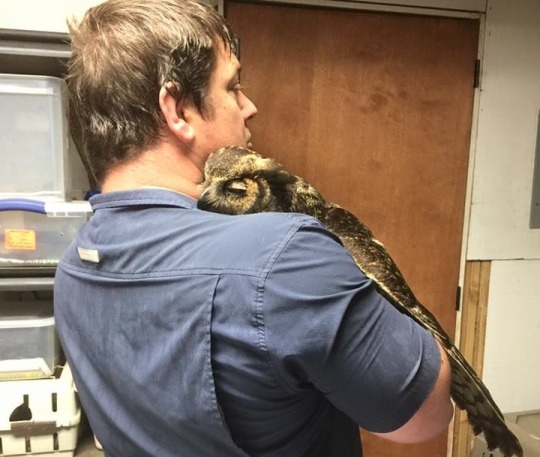 However, on the morning of his father’s death, the owl was spotted overlooking the farm house, where Pojeky’s father had passed away, before flying off into the woods.